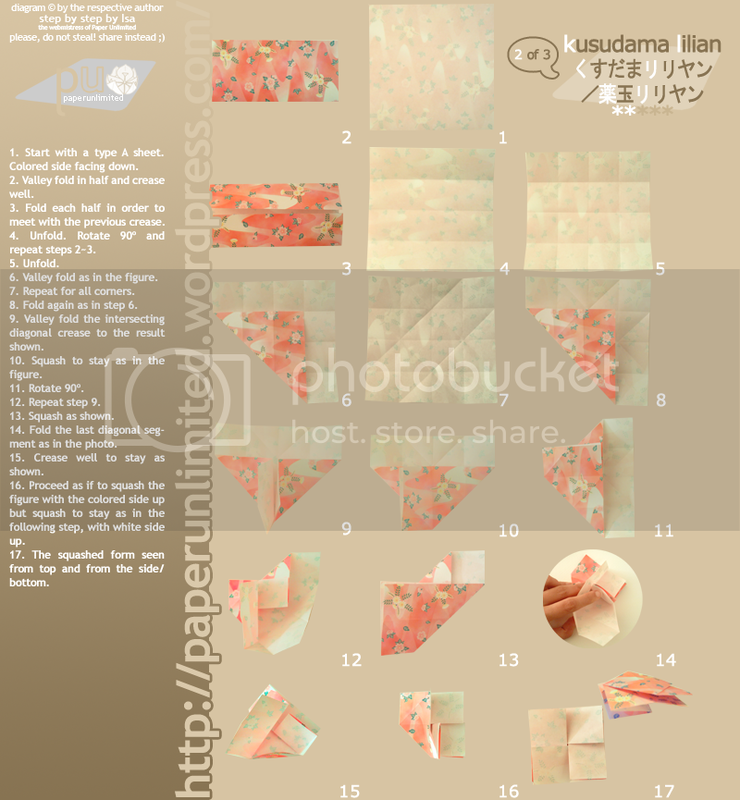 My newest addition to the blog: step by step instructions to some origami. 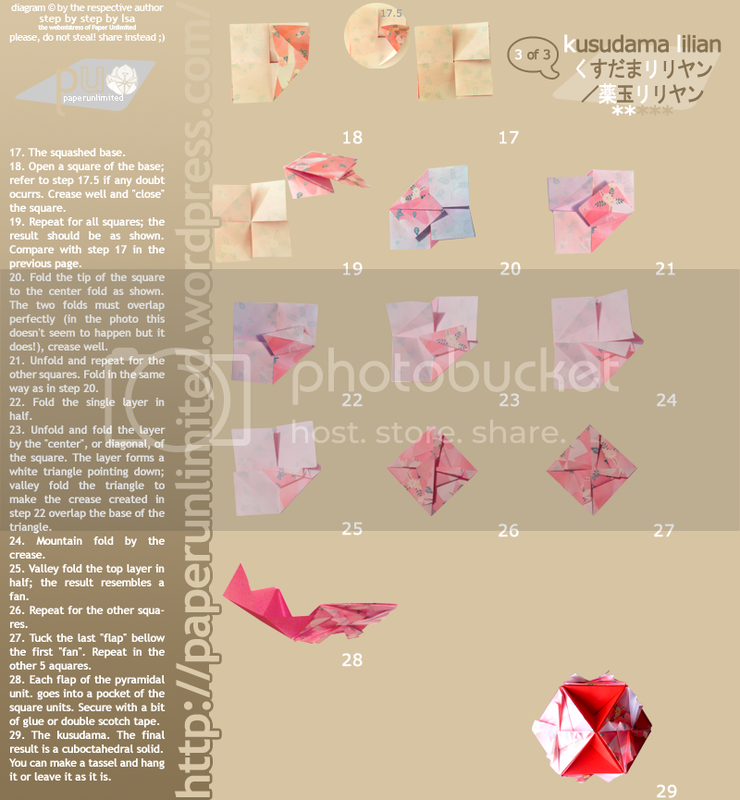 The first, in a late commemoration of three thousand hits is Kusudama Lilian, by Fuse. 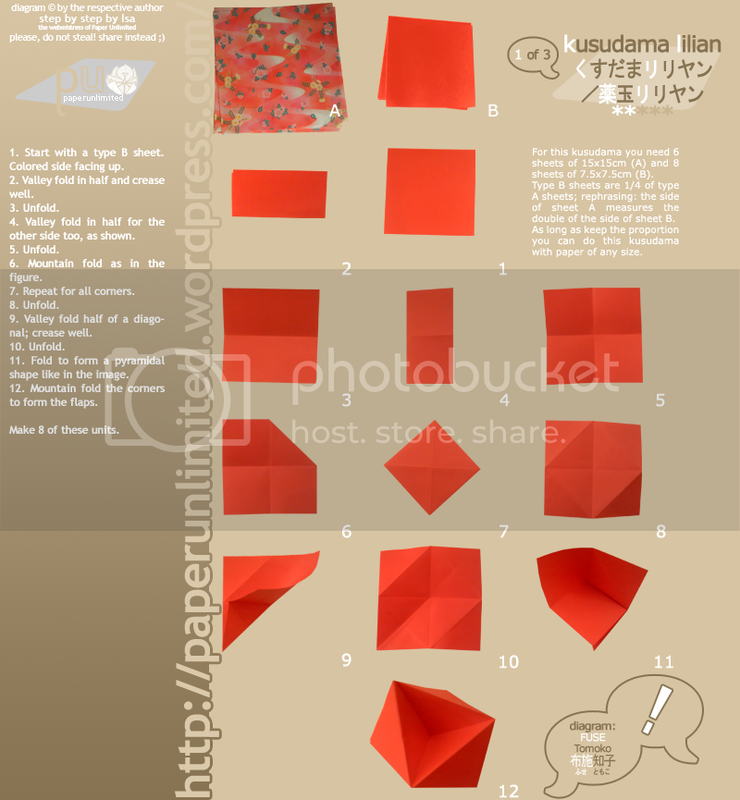 Kusudama Lilian: page 1, page 2, page 3 and a unit variation. You may access the diagrams by clicking at the category ‘diagrams’ or at the link origami diagrams featured in paper unlimited. 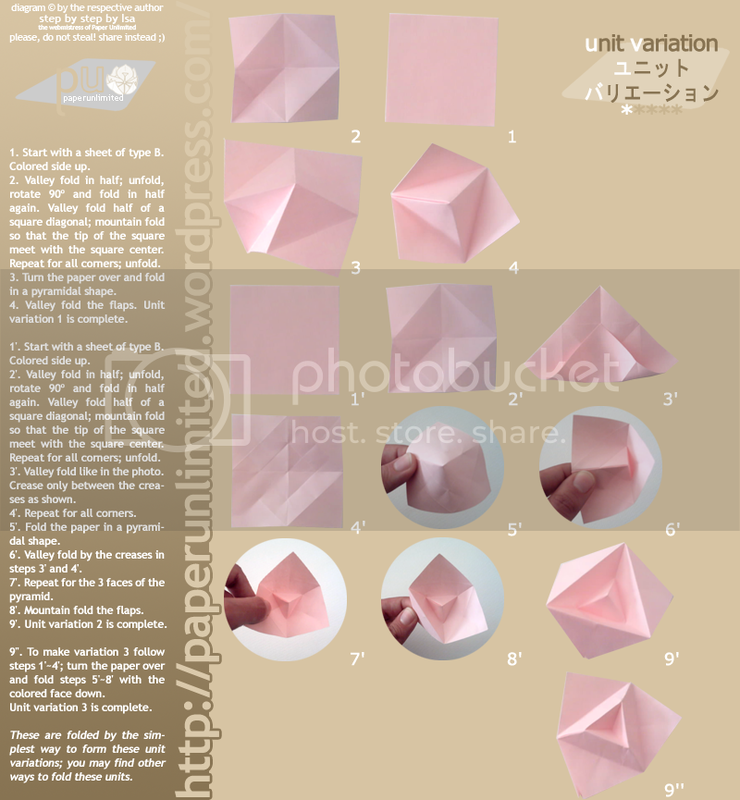 This entry was posted on 2007|03|26 at 15:43 and is filed under diagrams, kusudama (glued), rumblings. You can follow any responses to this entry through the RSS 2.0 feed. You can leave a response, or trackback from your own site. Hi, I have a question. Can we make a buckyball or a model complete (like a kusudama) with unit variation ? Only with unit variation? It can be done using glue to hold the flaps together; you might be able to do any figure with triangular faces: octahedron (8 triangular faces) and an icosahedron (20 triagular faces). At least it’s what comes to my mind just now.